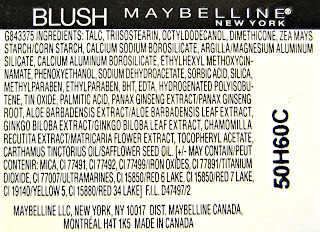 I am a huge fan of Maybelline's nail polishes, but I don't normally buy too many of their color cosmetics simply because I've not been impressed with the quality and pigmentation of most of them. 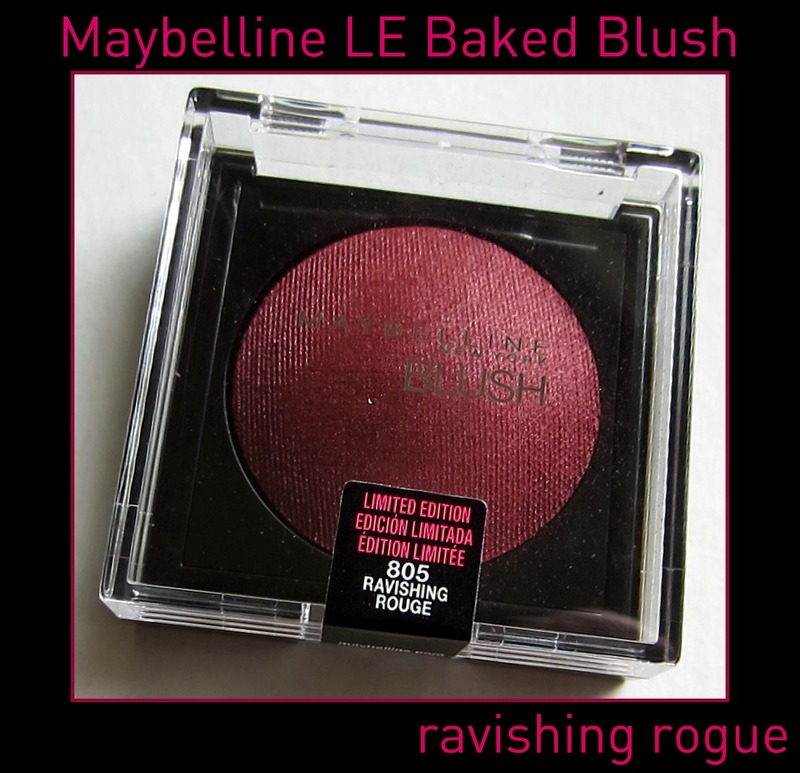 Ravishing Rogue is from Maybelline's Limited Edition Fashion Week 2011 Collection, which you can read more about on Nouveau Cheap here. I've been lusting after Chanel's Joues Contraste in Rogue shown below, and so far, I've been able to hold off buying it! The quality of the two other shades I have from this line is excellent, very smooth and pigmented, but did I really want to spend $43.00 on another one? 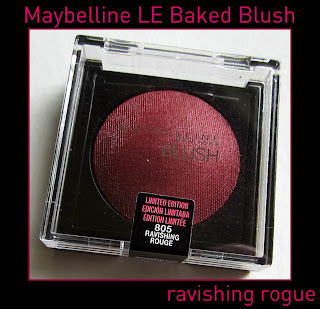 I don't believe I have to, now that I picked up this Maybelline shade that does resemble the Chanel to some degree, and shares a similar name. I spotted this at Meijer, and thought it was worth picking up at just $5.99. 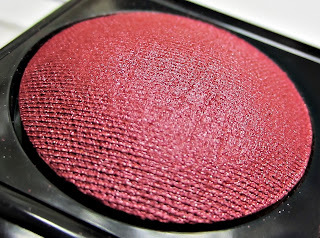 Ravishing Rogue is a highly pigmented deep rose shade with the slightest hint of brick red. 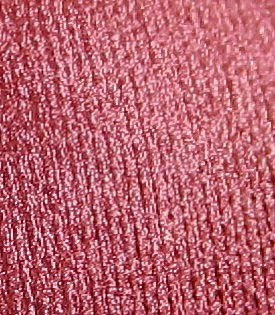 I find that the slight brick red hue is only noticeable in lower lighting, and the deep rose hue is normally more prominant. It has a little sparkle, but it doesn't look at all glittery on the face. I do believe my desire to own the Chanel blush has been put to rest by the Maybelline blush, and my wallet thanks me for that! 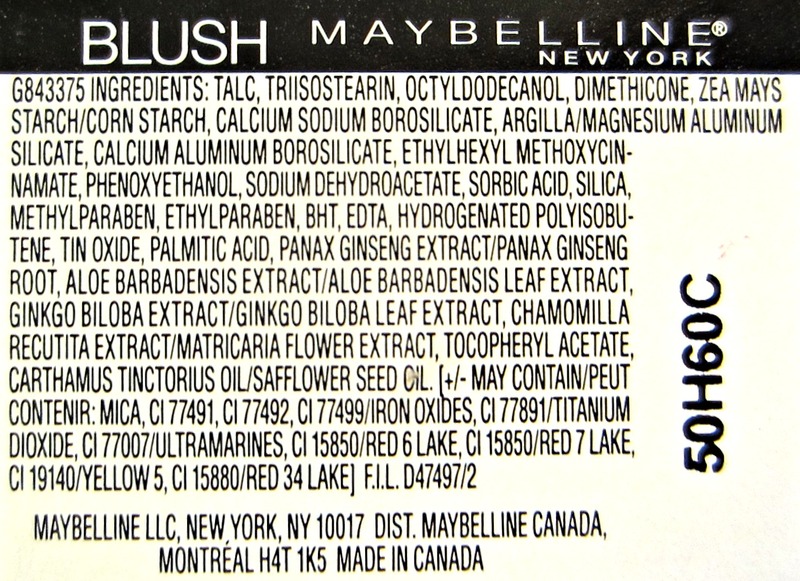 This product is incredibly pigmented, and to say that a little product goes a long way, is an understatement. Baked blushes are best applied with a light touch, and this one is no exception. It's smooth and blendable, and it gives a fabulous pop of color to your cheeks once you figure out how little to use! Clown cheeks are very possible with this if you're not careful, but a controlled application will work nicely for you. 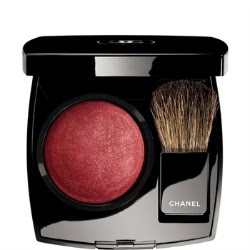 I picked this up as well....Its great to know its similar to a Chanel blush!! 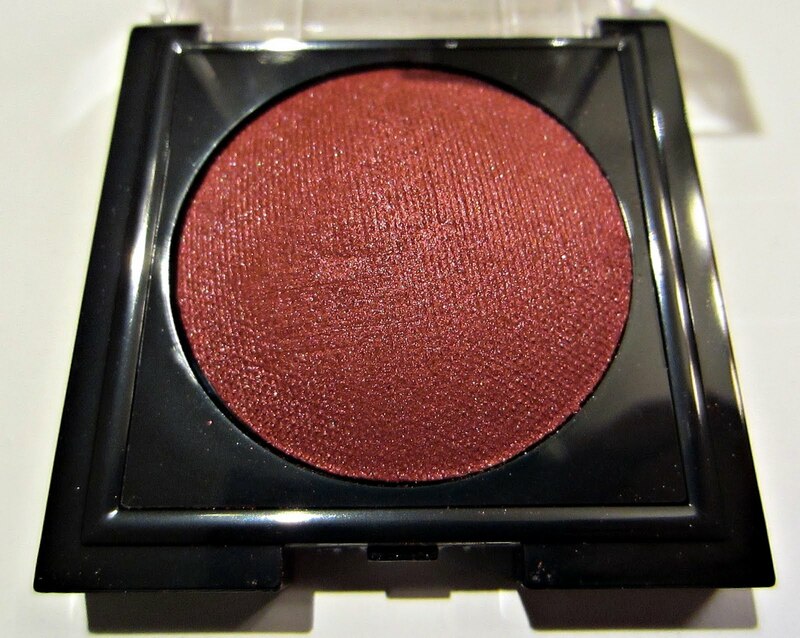 Wow that is certainly a bright blush!